The Ultralight Track Pants, predecessor to the Ultra Ultra Track Pants, was just sold out when I decided to replace my sports bottoms. Up till now I’ve been a pretty avid user of Nike’s Gyakusou and add more each season, but they were expensive and a tad flashier than I liked. I’m part of a dodgeball group which I go about once a week. I used to attend a yoga studio daily and might go back. I go to the public gym sometimes. 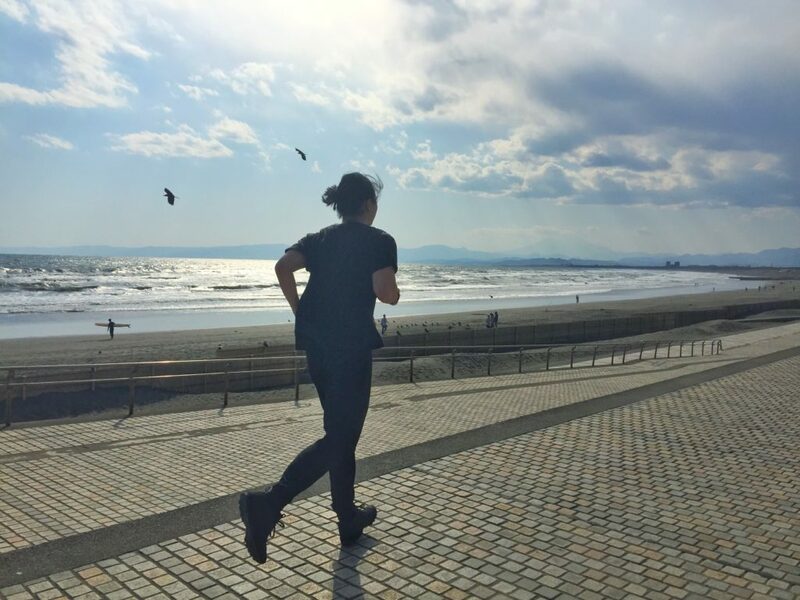 And I go running at the nearby Yoyogi Park a lot. I wanted a single pair of pants that will be all I need for all my workouts. This was also why I skipped out on the Ultra Ultra Easy Shorts which seems to have a lot less technical aspects for the price. While Outlier has perfected most of the design of their garments, sizing is always tricky when each piece are cut differently. The Ultra Ultra Track Pants is even harder to judge with an “aggressive taper” past the knee and so few fit pictures online. For those living in the US, you have the luxury of ordering a few sizes and sending back those that don’t fit. For someone like me, I don’t have that luxury and have to be careful with all the postage and tax that comes with each order. I’ve seen several posts on the Ultralight Track Pants about how it was almost “too slim” and it would be hard to wear outside sports with that yoga-pants slimness. I wear a size 32 in SDs and most other pants, although my waist is more recently at about 33 inches. From my time as an infantry in the army, I have slightly more muscular calves than most. So, I decided to get the large, instead of the medium. They were not kidding when they said the taper was aggressive. You would not be able to fit your feet through the holes if you didn’t unzip it. At large, the waist is a relaxed fit which can be adjusted with the drawstrings. A small issue is that if you put things in your pocket like your phone and keys in your pocket and try to run, you will feel as if your pants are dropping, only held up by the drawstring. The drooping feeling makes you feel somewhat insecure and might distract you. The alternative, of course, is get one size smaller and risk it being too slim to double up as casual wear. But rather than being due to the size, I think this is because of how light the fabric is. Also, for my case, the tapered calf area, with some activity will slide past your calf and bunch a little up at your ankle. This isn’t a real issue, but loses the just-fit feeling that you get when you put it on. However, even with the above issues, I am satisfied overall with the sizing I got. It still looks very slim with the larger size. It looks enough like my other pants and pairs well with my other non-sports tops and jackets that I often just not change out of it and proceed to after workout dinners. These feel great and light as the name suggests. I practically didn’t feel it, which is ideal. The stretch is on par with that of any yoga pants. The fabric feels a bit thin, but nothing so far would suggest that it would not be durable. I do a fair bit of sliding around trying to dodge balls, and scuff marks on a $198 track pants do make me nervous. But it seems to be holding up although it has only been a session so far. It seems to wick sweat well and after using it for about 5 times without washing (just airing it out), it doesn’t seem to have developed any sort of smell. The fabric uses NanoSphere DWR which gives light water resistance but is probably not enough to keep you dry running in pouring rain, but that probably doesn’t matter since you’ve decided to run in the rain. It does prevent water from being absorbed so it will dry up fast and stay clean longer. There is a smuggler’s waistband but I’ve found myself opting for the pockets as the zips just give me more security when I’m manoeuvring around dodging balls. 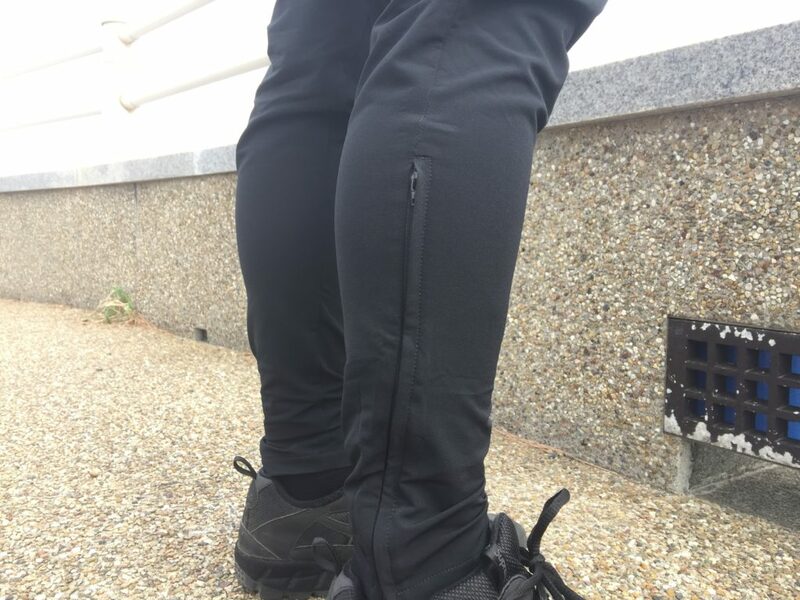 I believe the zips by the ankles are there to give more airflow but the track pants itself offers quite a bit of breathability that I never had to use it unless to fit my ankle through. 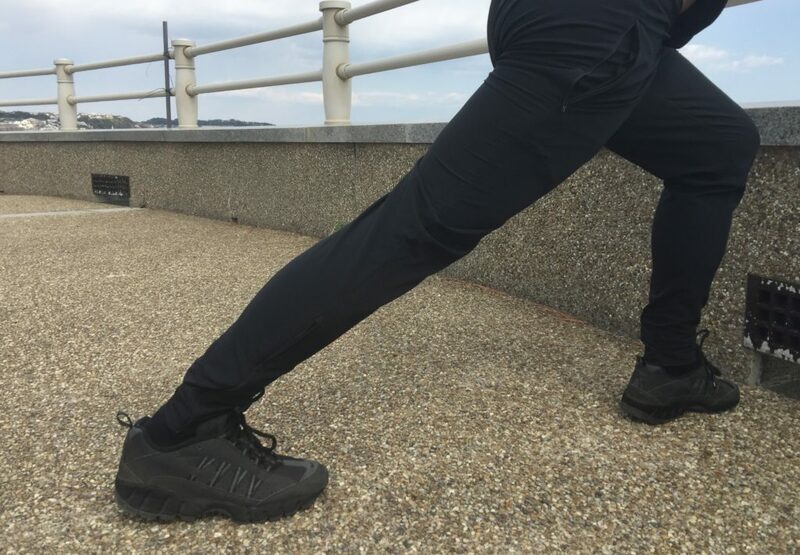 The Ultra Ultra Track Pants is a great purchase for its light water resistance, beautiful cutting and weight. The zips at the pockets is also an essential part to the pants. The zips at the ankles and smuggler waistband, I appreciate a little less. At $198, it borderlines on being too expensive, but if you are used to Outlier’s pricing already, then it’s probably worth it if you are trying to have just one pair of pants for sports.